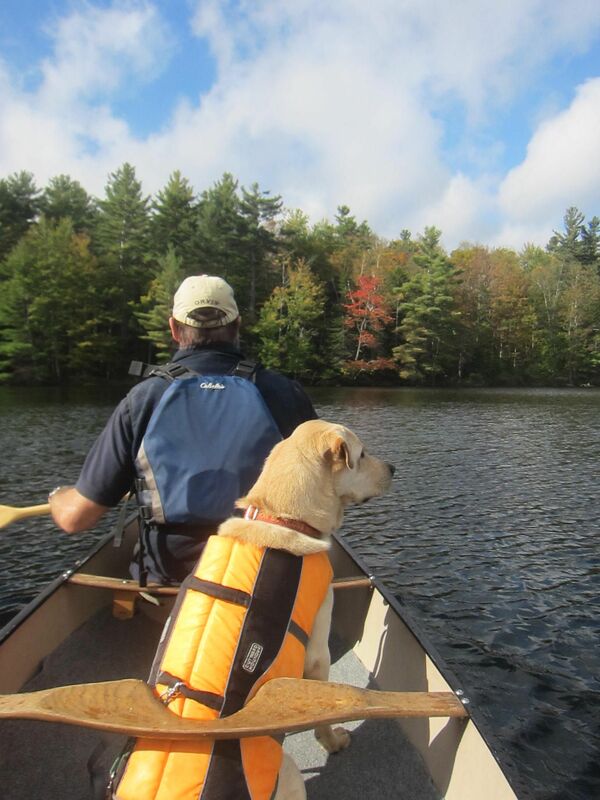 Catch a vista of maples in that long light and you see Autumn glowing through the leaves…. The promise of gold and crimson is there among the branches, though as yet it is achieved on only a stray branch, an impatient limb or an occasional small tree which has not yet learned to time its changes. 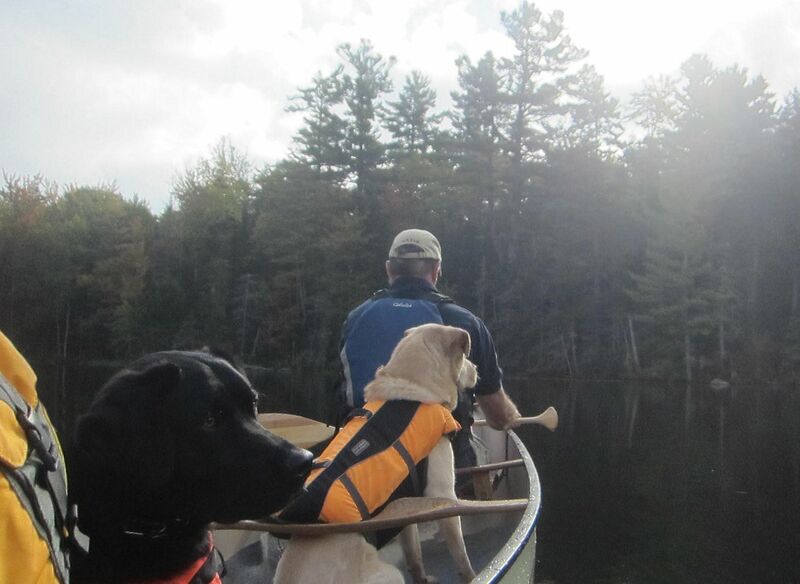 ~Hal Borland | Vermont Paddle Pups! Yes, fall is upon us. 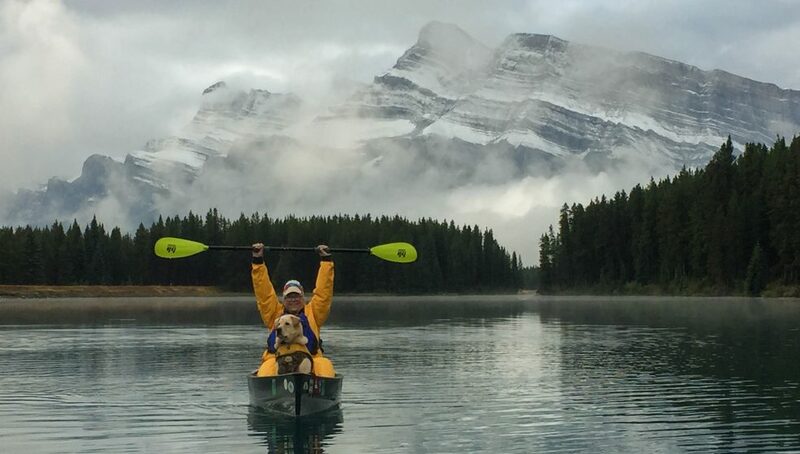 On a windy, cool paddle, in a lovely lake with multiple islands, we feel the inevitable change, and so do the dogs. They are alert and enjoy the cool wind blowing their ears. 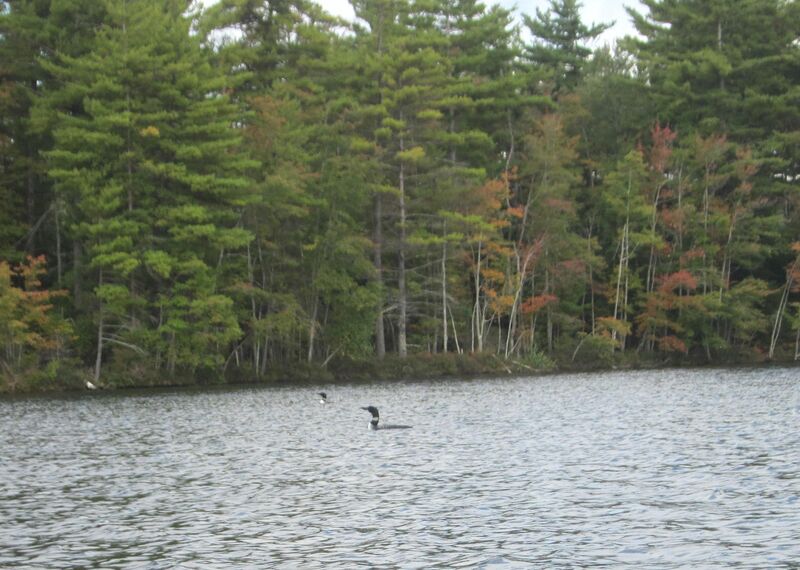 The loon’s white chest is clearly seen above the chop, the trees are showing the inevitable reds and yellows, and this often busy lake is deserted….on a weekend morning!